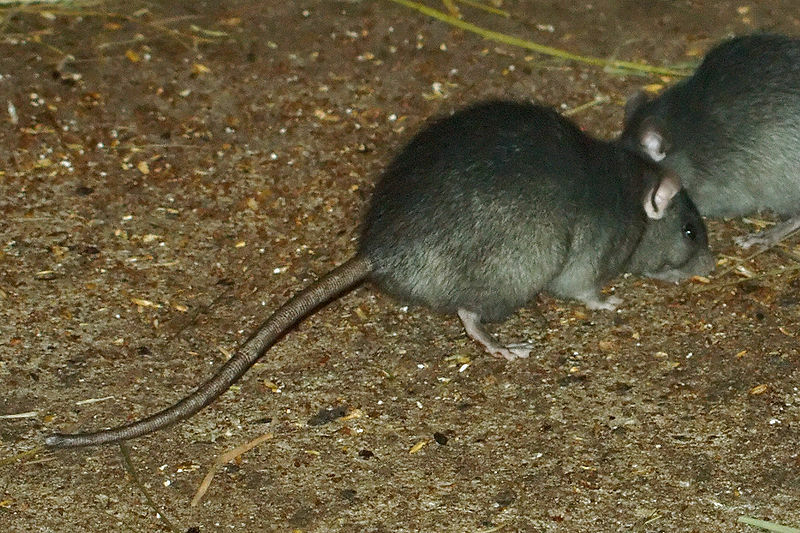 The Black Rat Rattus rattus was once widespread throughout the UK. The arrival of the Brown, Norway or Common Rat has ousted the Black Rat from virtually everywhere making them virtually extinct on the mainland and now existing on one island. They do still appear occasionally at our ports and docks, where they earn one of there other names, Ship Rat. We have never recieved a call for Black rats, and do not ever expect too. 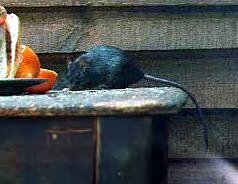 Inspite of still entering the UK the Brown Rat is a larger more aggressive animal and it continues to increase in numbers leaving no space for a population of Rattus rattus to become established. The only self sustaining population of Black Rats in the UK is on Shiant Island in Scotland. A small population was recently removed by a pest controller in Cornwall, but this seems to be an acception to the rule. This is just as well as it was Black Rats which spread the bubonic plague in the 1600's. 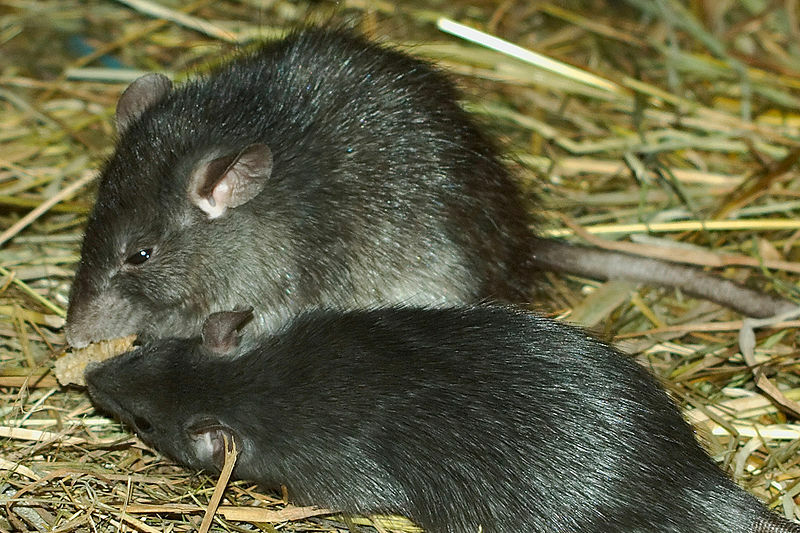 Black rats are noticably different in appearance, their coat is more fur like and their heads rounded, compared to Brown rats they are almost attractive. Great climbers they are often known as Roof Rats. Omnivorous they will eat anything going, but prefer grains. If you have seen a Black rat in the UK we would definately like to here from you, please email us on the contact us form at the top of the page.